Your smile is one of the first things that someone notices about you. And if you are one of the millions of Americans dealing with tooth loss, it is likely that you aren’t looking forward to getting replacement teeth. We enjoy seeing denture patients and we want you to be proud to show off your healthy new smile. You owe it to yourself to feel good about the way your smile looks. 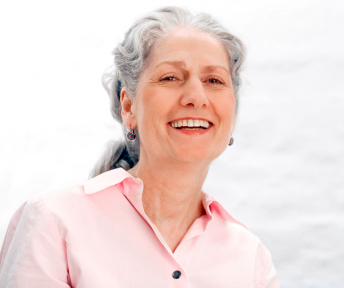 Dentures can give you a renewed sense of confidence and will make you look and feel younger. The best part is that they will look so natural that no one will be able to tell that they aren’t your own teeth. If you are missing all your teeth, you may feel like dentures is your only option. There are many types of treatments available to you. Traditional dentures replace your teeth with a removable appliance and is probably the treatment you are most familiar with. We are committed to using the highest quality materials and an experienced laboratory to create a beautiful set of dentures for you. Although, even with the tightest-fitting set of dentures there are some limitations. Since dentures rest on movable gum tissue, stability will always be an issue. Suction holds the upper appliance in place, while the lowers rest on the ridge of your jawbone. This means that they can move around a bit when you are talking or eating and your chewing efficiency will be significantly reduced. Dental implants are a permanent solution to replace your missing teeth. They are anchored directly into the jawbone and provide excellent stability. You can talk and eat normally, just like they are your natural teeth. Implants also prevent facial collapse, a condition where your jawbone shrinks that naturally occurs over time. To learn more about the many benefits of this option, please visit our dental implants page. Dr. Collins has also had much success with snap-on denures. The process is a much more affordable solution. Learn more by clicking on our affordable dental implants page. We have used overdentures as yet another option if you are missing teeth. Overdentures are anchored in place with any of the natural teeth you have left or with the use of dental implants. Patients report much less discomfort with this alternative. Visit our overdentures page, to learn more information. Or if you are fortunate to still have some of your natural teeth left, you may be a candidate for partial dentures. With this method your existing teeth are used to secure the removable appliance with the use of a metal framework. To learn more, please visit our partial dentures page. For most, this is a major decision that isn’t taken lightly. We are here to help answer any questions or concerns you may have. Even if you aren’t ready to commit to any type of treatment, we encourage you to schedule a complimentary consultation. During this time we can talk you through the pros and cons of dentures and help you to determine the best solution for your individualized needs. Call us at 225-292-4321.